I was riding along the river Seine Sunday morning on the most exquisite day a Parisian could dream of and I thought about all the things I love in this town and if you were a visitor with limited time what would I recommend. Some of the things on this list I have blogged about before because they are just too good not to be included but I have some new favourite ‘experiences’ I think are fun. The first thing I hear when I meet up with most Australians in Paris is ‘aghhhh the coffee’. Now for the uninitiated us Australians have some of the best coffee in the world (move over Italy) so when we arrive in Paris and see those gorgeous cafes we are imaging great coffee. Wrong! Now anyone that gets off a 24 hour flight deserves a good cup and here are some of my favourites and where UHT milk is banned. First shopping stop Merci. Merci has become my second home. I love eveything about this shop, the products, the space, the wonderful restaurants and cafe.. But most of all I love that a percentage of profits are donated to charity. I lunch at the canteen downstairs because it has the best ‘girl food’ in Paris and you look out onto a beautiful herb garden. There are lots of lovely fresh salads, soups and organic juices that are hard to find on the menu in Paris.. I had the great fortune to photograph many Parisian perfumeries and I LOVE THEM! Serge Lutens in the Palais Royale has atmosphere and perfume ‘a go go’. Frederic Malle makes some of the best perfumes in the world and his Carnal Flower full of tuberose is my favourite. One of Paris’s most fabulous shops is found in the elegant 7th.. As you mount the old wooden stairs and enter into animal fantasyland you will be forgiven for the ‘oh my god jaw drop’.. Deyrolle is a taxidermist with a difference.. They proudly state that all animals have died of natural causes. Polar bears and lions, baby elephants and advarks.. Out the back you can have your made to order butterfly or bug selection framed. An exquisite present that has a constant line of Parisians queuing..Only in Paris. There are so many wonderful museums in Paris but I love the small ones. The Louvre is incredible but I get an anxiety attack everytime I go, I leave feeling guilty that I haven’t seen it all. Instead I discovered the small ones. 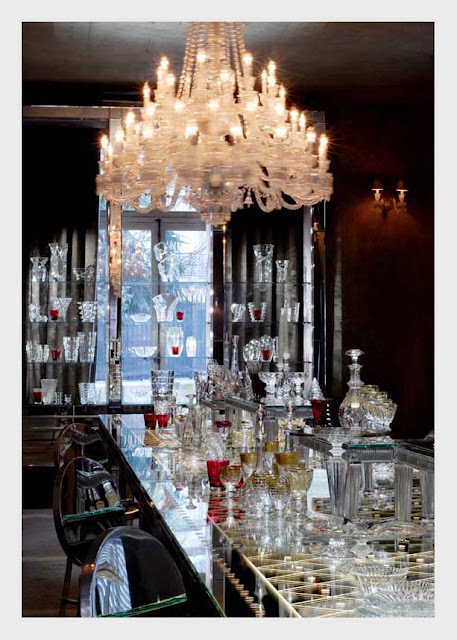 Galerie Musee Baccarat is irresistible. Housed in ancient Hotel Particulier, France’s most glamorous glass is awe inspiring. I also adore Musee Bourdelle, Antoine Bourdelle’s incredible sculpture museum with monumental sculpture and original artist’s atelier. 7. Dessert……Paris has the best desserts in the world. I can’t get excited about the Beef Bourguignon or the Confit di Canard but put a tarte citron or chocolat chaud in front of me and I am purrrringggg.. I love the atmosphere of Angelina’s on rue du Rivoli and they make the best hot chocolate in Paris. Old world Paris, pure rich hot chocolate in silver pots with whipped cream – it could get a girl into a lot of trouble!! ps. go for morning tea and don’t even think about going on Sundays!! 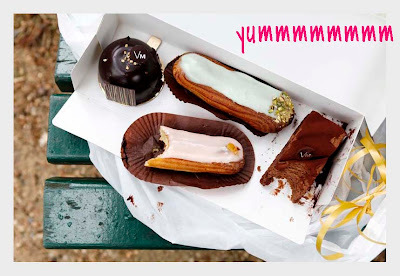 You all know about Laduree and their to-die-for macaroons but there are so many wonderful local places to try in Paris. I live just around the corner from Patisserie Pain-de-Sucre and these guys take cakes very seriously. Lots of original flavour combinations and they have just opened a new shop with a wonderful bench out the front where you can sit and savour them!! And Terres des Cafe is right next door so you can grab a real coffee to wash them down..
One of the most beautiful things I love about Paris is her flower shops. Those sweet little local shops with their fine selection of peonies and sweet peas, lillies and roses and their devoted staff creating bouquets with love. L’Artisan Fleuriste is in my hood and I can hear them saying ‘stallkkkkkerrr’ each time I walk by and take another pic..Love them. 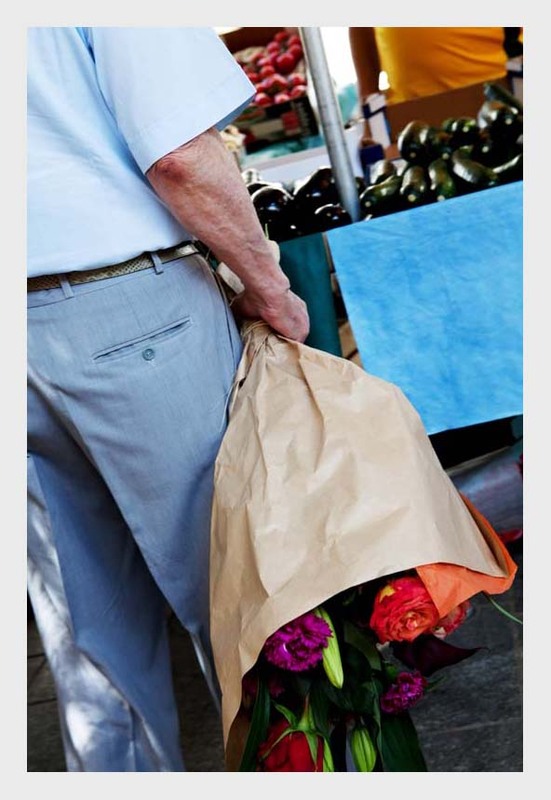 Also my local market has a wonderful selection of flowers every Saturday morning. 9. Jardin du Luxembourg.. Why?? Because it is an oasis of gorgeousness in urban Paris. When I have a giant case of jetlag I cross the river and jog in Jardin du Luxembourg. I feel like calling out ‘silence please’ as I enter this garden. For me it is almost a religious experience to walk underneath the chestnut trees in bloom and try and discern one perfume from another. If you want to see the world’s greenest grass, this is the place. French attention for detail in every leaf..
10. Le Palais Royale.. 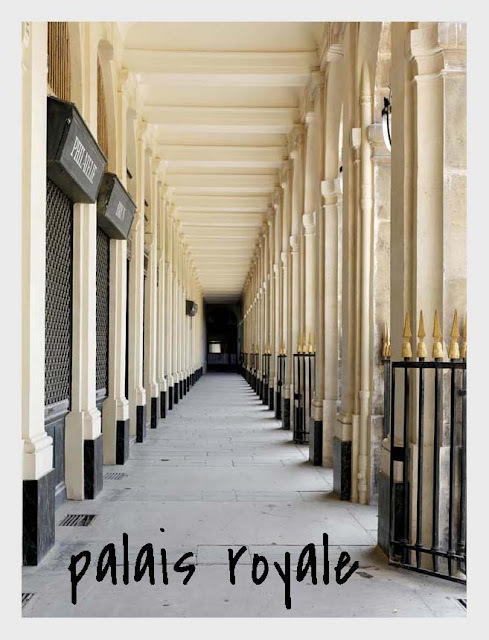 This is the double whammy.. Whilst all the tourists are circling the Louvre and trying to find space in the Jardin du Tuileries the Palais Royale is left to the locals. Tucked behind the Comedie Francaise it is one of Paris’s most beautiful spaces with a garden to boot and some of Paris’s best shops. If there is one place in Paris you should buy perfume it is in the ultra French space of Serge Lutens in Les Salons du Palais Royale. Oodles of French ambience. This place makes my heart skip!! 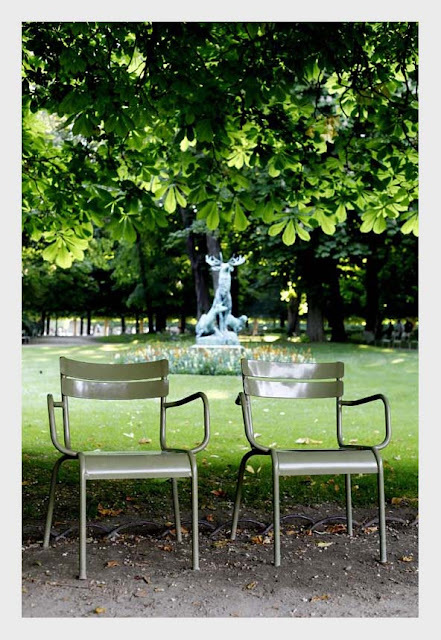 When and if I ever win the lottery one of my first stops will be at Didier Ludot. Didier is the proud owner/curator of the most important vintage haute couture gowns in Paris and possibly the world. They are all here, Madame Gres, Vionnet, Chanel, Thierry Mugler, Paco Rabanne and the list goes on and on…. I was stumbling around the Jardin des Plantes one Sunday morning when hubby and I decided to enter the above museum. If I have ever had a ‘OMG’ moment in Paris it was here. Holy Dinosaur Batman!! If you are a stylist, a five year old boy, a set designer or a lover of beauty run to this fabulous museum. It’s amazing!!! Feels like it hasn’t been touched since they dragged all those bones in here. No interactive screens, no illuminated gadgets just good old fashioned wood, bones and cabinets.. I LURVE THIS PLACE. 13. Le Petit Fer a Cheval.. Possibly Paris’s smallest cafe. I go to enjoy the company of the charming staff and the knockout old world Parisian atmosphere. The tourist books will point you to Cafe de Flore and Les deux Magots but there you will be surrounded by tourists. Drop into my local bar for a quick coffee, freshly squeezed orange juice at the bar and here you will be surrounded by a colourful cast of locals. Otherwise they do a delicious lunch in the restaurant hidden behind the bar..
14. Picnic on the lawns of the Louvre. Now who would have thought when you are not allowed to lie on the grass in almost all of Paris’s park (except for handkerchief size squares) that you would be able to lie and picnic amongst the hedges of the Louvre. Go figure?? I love it here in Summer, smack bang between the Tuileries garden and the Louvre you feel like you are in the centre of Paris and what a backdrop. Take a picnic, spread out and enjoy the long summer nights. 15. 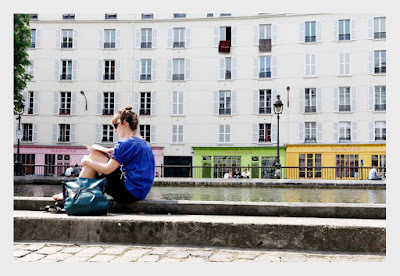 Canal Saint Martin. I love the canal and the life that has sprung up in the streets around this area. It reminds me of what happened in Sydney around Surry Hills years ago. Daggy and funky mix it up. The canal is where the cult film Amelie was shot so fans will recognise the curvy bridges. So many good local bars and eateries around here with a young sassy crowd. You musn’t leave Paris without visiting the top end of the Marais where all sorts of grooviness happens! Between rue rue Francs Bourgeois and Republique flanked by Bld Beaumarchais and in the heart along rue de Bretange there are divine boutiques, bars, cafes and the fabulous market of Les Enfants Rouges for lunch. 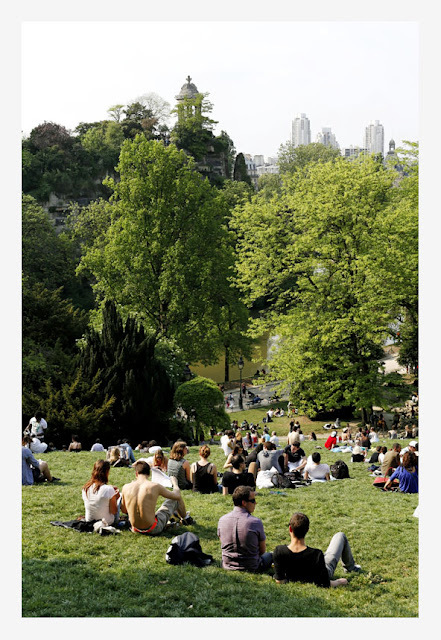 When the sun is shining and the birds are singing I join loads of other Parisians for a picnic in Buttes Chaumont in the 19th.. This is one park in Paris where you can stretch out and lie on the grass, bring all your picnic goodies, your guitar, your kids and their balls and bikes. Buttes Chaumont is the Paris park par excellence for a picnic. When the sun is shining their is a carnival atmosphere here and you feel a million miles away from Paris. 19. To Market to Market.. And what is a visit to Paris without a visit to a local market?? I would say it is essential!! As important as standing in front of the Mona Lisa in the Louvre!! Real Parisian life revolves around the market and all you need to do is to join the crowd at Paris’s biggest market on sunday at Marche Richard Lenoir and you will see just how important food is still in a Parisian’s daily life. Keep moving otherwise you might experience caddy rage!! The greatest thing about visiting Paris is to take your time, wander the streets, sit in the cafes, push open big heavy doors that lead to secret courtyards to see what is revealed and discover Paris one layer at a time. I hope you enjoyed my little tour. If you have anything special that you love doing in Paris let me know.. Such a great list of places. I’m going to put Le Camboge on my list of places to try. Wonderful fantastic list, Carla! I’m saving it on my desktop for my next visit. I usually stay in the Canal St Martin area, and have eaten twice at Le Camboge and swooned both times. (Usually a long line, tho!). Prune is like home for us–first for breakfast and again at aperitivo time. MILLIE GRAZIE!Especially the coffee spots! Do you know I drive a little mint green FIAT 500 just like your photo?! !Mine is a new one but I just LOVE IT! Love the list. I hope to get a flat for at least a month to spend more time in Paris. This summer I had a short visit a fell deeply in love with the pace of the city. Your photos as well as your choices inspire. Fascinating post. I too love paris. I think my favourite place is Sacre Coeur as the views are spectacular. How I would love to be wandering in Paris right now! Thank you for the lovely tour. Thank you for these great ideas! I’m going to Paris next week am going to check out Museum National D’Histoire Naturelle. Have copied your list and will check it twice, although I’ve already checked off a few from my trip to Paris last October. I particularly enjoy #20 and hopefully on my return visit to Paris next spring, I will check off a few more. Great list! Love paris! Great guide as always perfect photos!! Bonjour Carla, Thanks for some great ideas. I will be visiting Paris in December and whilst the park ideas are fantastic for summer, I am not sure I could handle a picnic in the winter. 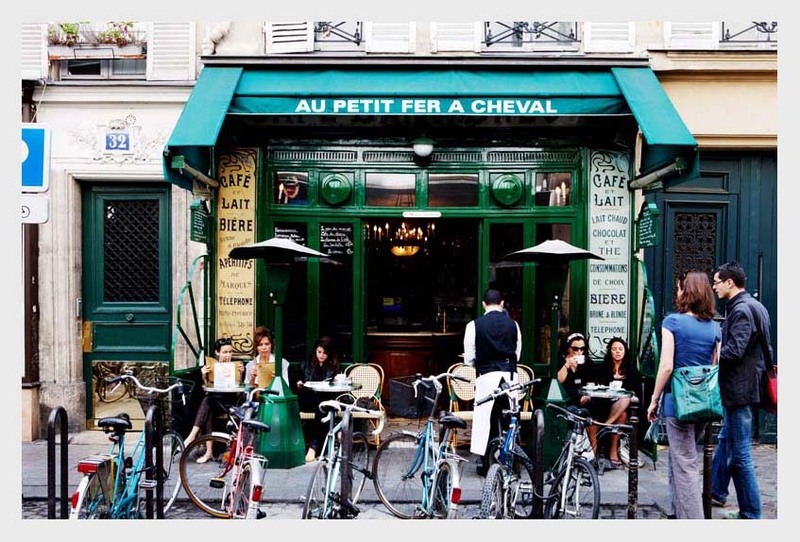 Can you recommend anything Parisian to do for the chillier months? Will pass it on to my daughter who is booking a trip to Europe this weekend, including a few days in Paris. I still remember going to Angelina’s three years ago – unforgettable! The view from the terrace atop galleries Lafayette on Haussmann is to die for. And there is a bar up there. I also go crazy for the Bon Marche. Merci de tout for sharing! Paris is always full of surprises and never disappoints. I LOVE your guide and, plan to check out some of the places you’ve recommended here on my next visit there. What a great guide, definitely keeping this for my next trip….gorgeous photos too!! We are enjoying many of these this week in paris. Thank you Thank You. Merci. Will be in Paris in April….now have my agenda planned out, thanks to you. This is an absolutely brilliant list!! So very useful – the best I’ve ever seen. Paris! So many experiences that we have not had. Next time! Thank you for the great ideas.